Education is the most powerful weapon which you can use to change the world. The UFCW is about workers coming together to build better lives for themselves. It is about creating opportunity. That is why each year the UFCW Charity Foundation awards several scholarships of up to $8,000 each to UFCW members or their unmarried dependents under the age of 20. To learn more about these scholarships and how to apply, please click here. Deadline for the 2019 scholarship is May 12, 2019. Don’t delay! Think a college education is out of your financial reach? Think again! 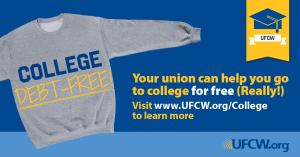 Learn how UFCW members can get a free college degree! Read how Biometric Screenings can help you save money and have better health. 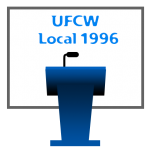 Click here for the Fall 2018 UFCW Local 1996 Newsletter. The nominations for Officers of Local 1996 concluded on July 30, 2018. Please click here for more details. We always strive to communicate the value of your Union Contract to you, our members! Please click on the following links for the Kroger Agreement. You may view and download for reference. For the Atlanta Contract Click Here and for the Savannah Contract Click Here. As always, please contact your Union Representative or Shop Steward should you need any assistance. Every day, we are working hard to provide you—and every single one of our members—with real and powerful benefits that can help bring you the better life you have earned and deserve. One valuable example of this is the UFCW Free College Benefit. Please CLICK HERE to learn more…. Get the facts and stay informed! 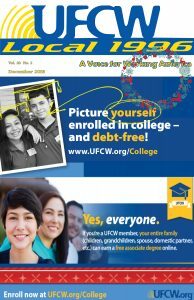 Text “UFCW1996” to 55000 and follow the prompts to enroll into our texting list. It’s quick and easy. You may also CLICK HERE to opt-in online. By providing my cell phone number, I agree to receive text messages from UFCW 1996 about important information and updates. 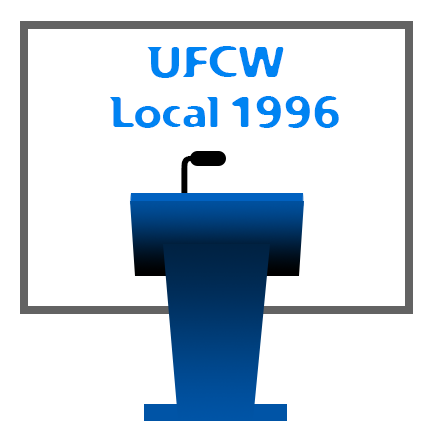 UFCW 1996 will never charge you for text message alerts, but carrier message and data rates may apply. Text STOP to 55000 to unsubscribe and HELP for more info.